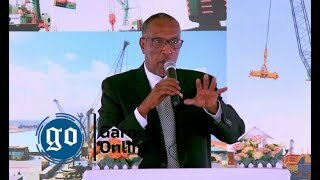 MOGADISHU, Somalia - Nearly seven years after Kenyan troops crossed the border to fight the Al-Shabaab in Somalia, the war has entered a crucial phase which could see the soldiers return home in 2020. In the transition phase, the troops will surrender their Forward Operating Bases to the Somali National Army. There are also police stations manned by Kenyan officers, which too will be handed over to their Somalia counterparts. But the withdrawal is designed to be gradual and conditional. Besides Kenya, there are more troops from Uganda, Djibouti, Ethiopia, and Burundi who are also expected to pull out when the United Nations mandate ends in 2020. In total there are over 21,000 African Union troops in Somalia. At present, all the African troops there are under Kenya’s Major-General Tai Gituai, who is the acting commander of the Joint Force. He also revealed that the European Union has given 100 million Euros (Sh11.8 billion) to make the dream a reality. The funds are meant to last until 2020 when Somalia is expected to hold a General Election. “That time, African Union Mission to Somalia (Amisom) may exit on conditions. 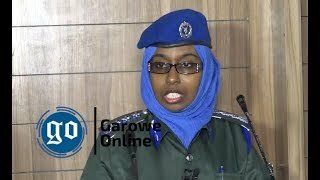 "As of now, our troops, other police and civilian components of Amisom are mentoring the Somalians and professionalizing their agencies. 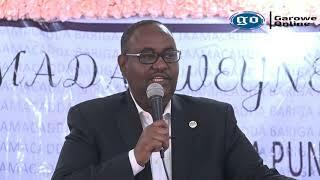 We are looking at a transition driven by Somali Government because we feel there’s ability they can take care of security responsibilities,” Maj Gen Gituai added. The forces have divided Somalia into sectors and Kenyans are deployed in Sector Two as well as Kismayu area. The Kenyan troops are spread-out in 16 Forward Operating Bases with its headquarters at Dhobley. Dhobley was a stronghold of Al-Shabaab before the Kenya Defence Forces (KDF) troops flashed out the terrorists in 2011. The pull out began in earnest as the Amisom force last year withdrew 1,000 soldiers after a United Nations (UN) resolution. An additional Amisom’s 1,000 troops are supposed to return to their countries by October, in line with another UN resolution. Kenyan commanders in Somalia are however cautious of the drawdowns. Brigadier Joachim Ngure Mwamburi is Sector Two commander, placing him squarely on the front lines. “We are ready to handover to the Somalia military but we have to be sure that on their own, they can hold liberated areas after we hand over. "They are very upbeat in recruitment and we are ready to train. 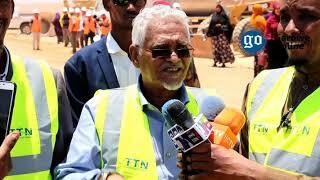 But if the Somali National Army (SNA) is not ready, in numbers and resources, the UN should hold the drawdown,” he said. The Generals are also concerned that SNA may find challenges in operating as a unit after the pull-out, because as of now, it is a collection of regional armies, and each is receiving different training from foreign Forces. In Kismayu, the British have been training Somali Army officers while in Lower Juba, KDF is helping Jubaland Defence Force. Other countries involved in training are the United States’ Africa Command, the United Arab Emirates, Turkey, Uganda, and Ethiopia. Maj Gen Gituai said because militaries have different training and doctrines, the SNA soldiers will not be immediately rearranged into one. 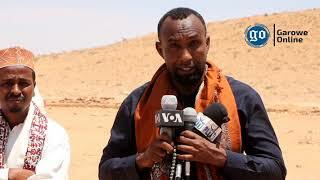 “Those trained in Baidoa will be deployed there and those in Kismayu likewise. But the officer's cadre, trained by the British is more of a single unit,” he said. KDF entered Somalia in October 2011, five years after Burundi and Ugandan troops had been deployed in Mogadishu under Amisom. Kenya joined Amisom in 2012 at the request of the African Union and UN.